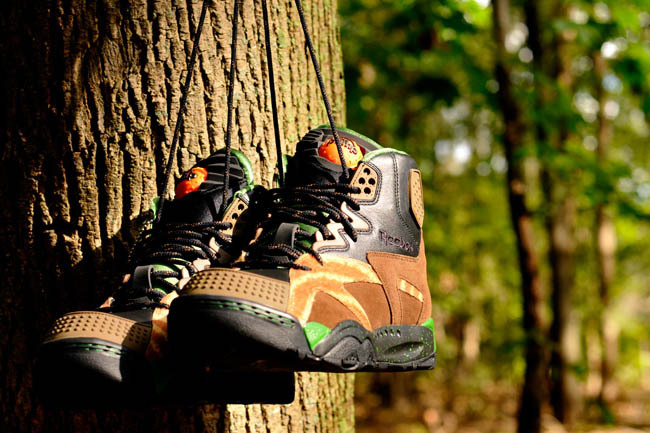 NYC boutique serves up another 'Men in Tights' inspired Reebok Pump. 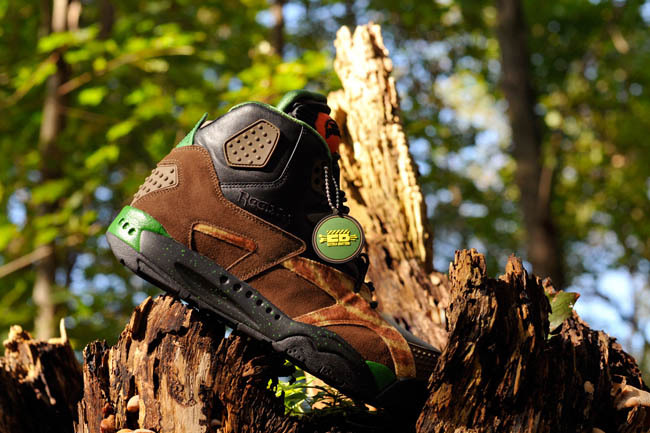 Last year, New York-based sneaker boutique Extra Butter celebrated their 4-Year Anniversary by linking up with Reebok for the "Ahchoo" Pump AXT. 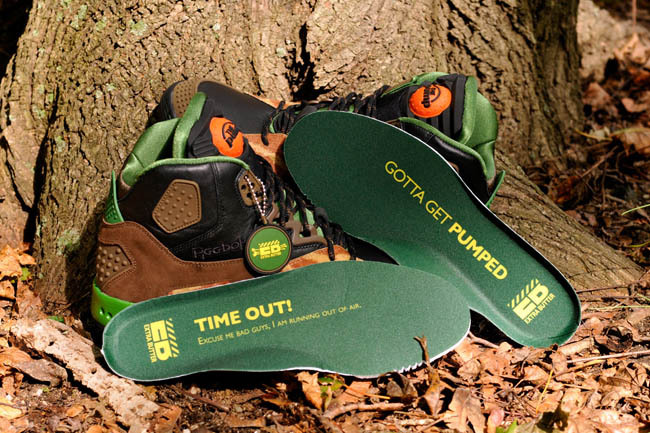 The look of the Pump was inspired by Dave Chappelle's character in the parody film Robin Hood: Men in Tights, in which he famously paused to pump up his kicks in the midst of a memorable fight scene. 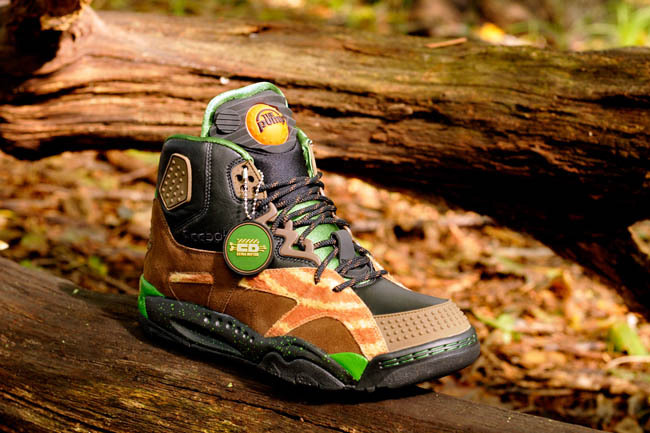 Expanding on that concept, Extra Butter follows up with the similarly-themed "Sheriff" Pump OXT. 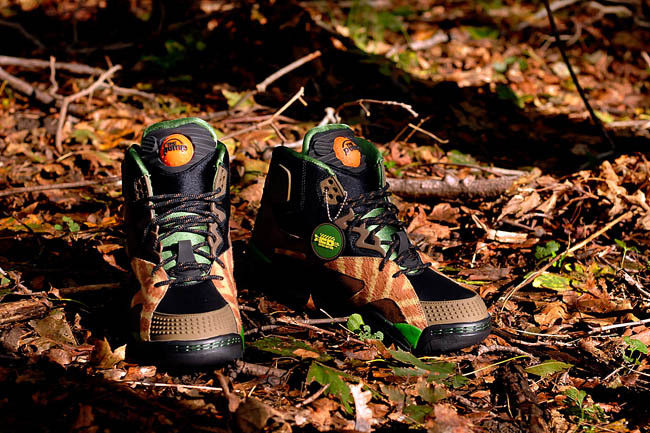 The "Sheriff" Pump OXT features a look that can be likened to the attire worn throughout the entire film. However, Extra Butter chose to specifically pay tribute to the closing scene, when Ahchoo is appointed the new sheriff of Rottingham. 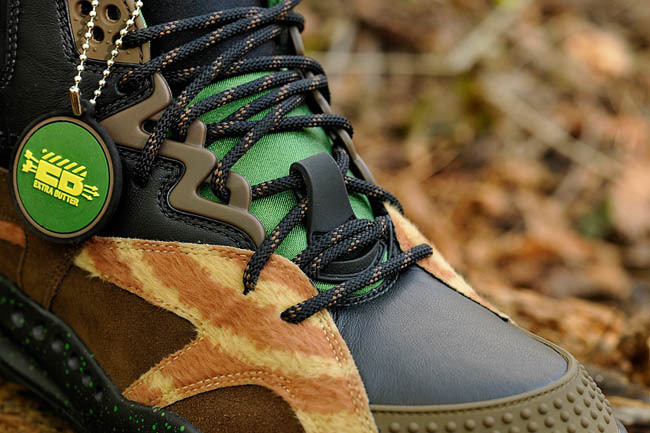 Durabuck and premium tumbled leather are decked out in Hunter Green, black and dark brown on the shoe's upper. Other details include quill-printed faux fur overlays, rubber toe cap, classic orange tongue Pump and custom hang tags and insoles. Limited to a run of 350 pairs, "The Sheriff" will be available Friday, March 23 at Extra Butter. You can also follow @SheriffAhchoo on Twitter for more information.